Caytie has been working to support children and schools for more than 20 years. As an educational technology specialist, consultant and trainer, Caytie has enjoyed traveling to support educators in their use of ed tech solutions in California, New York, Tennessee, and Canada. Nine years ago Caytie joined Greenfield Learning and, in 2016, Caytie became the Chief Partnerships Officer. Her focus is building and leading a growing team to support Greenfield's efforts in California and Canada. She takes great pride in the impact Greenfield Learning has on childhood literacy in SF Bay Area and around the State. Caytie and her mother, Anne Bagatelos, are the cofounders of Cayton Resources, an educational supply business developed in 1991 to provide parents with research-based materials to support their children's education from home. Passionate about the role of parents in their child's educational journey, Caytie spends much of her time supporting parental involvement and family literacy programs in the San Francisco Bay Area. She is the devoted mom of a kindergartner who is an enthusiastic reader and Lexia lover! Caytie is an alum of the University of San Francisco, an avid traveler and scuba diver. After 15 years of city living in San Francisco (where her husband Giovanni was renowned for almost a decade as an Italian pizza maker in the heart of Haight Asbury! ), Caytie and her family are currently enjoying a quieter pace living in a small town on the picturesque San Mateo Coast. Caytie can be reached at caytie@greenfieldlearning.com. Nicole Kade joined the Greenfield Team as Director of Implementation and Professional Development in October 2015. She was born in Woodland, California, and then moved to Rohnert Park, California, to attend Sonoma State University. There she participated in a blended program that allowed her to earn a B.A. in Liberal Studies with a focus on Elementary Education and a California Teaching Credential in 4 short years. She then moved to San Jose, California, where she attained her first teaching position in a 3rd grade classroom. Her journey in public education was fueled by her passion to make an impact on as many students as possible. This led her to become a middle school teacher, curriculum coach, administrator and the Educational Chair for the Franklin Mckinley Children's Initiative. During this time, her passion also led her to attend graduate school and earn a Masters in Educational Leadership and an Administrative Credential. She has a deep desire to work collaboratively with teachers, administrators and educational technology partners as Greenfield Learning works toward providing exceptional professional development and implementation support. In her free time Nicole enjoys spending time with her family, especially her two young boys, Gregory & Logan. She also loves floral design, she even won floral designer of year in her high school’s FFA, and has been the florist at many of the weddings of her friends and families. Nicole can be reached at nicole@greenfieldlearning.com. Tim has worked with Greenfield Learning for over 10 years, covering a vast swath of Northern California, including rural, scenic, and urban areas. Prior to joining Greenfield, Tim worked with several publishing companies as a sales representative. Tim’s father-in-law, a veteran in the sales field, helped him discover his passion for educational sales. Tim graduated from the University of California Davis with a degree in History. Tim comes from a 4th generation California farming family with strong roots in California education – he had 7 great aunts who graduated from San Jose State University, all went into teaching and administrating, plus other family members who worked in education. Tim’s an honored father of 4 sons and a devoted husband. Tim enjoys gardening, cooking, sports, fishing, technology, camping, reading, learning, meditating, and jogging. He loves pets with 3 dogs, 3 cats, and 2 family rats.Tim can be reached at tim@greenfieldlearning.com. Shawn will always consider Wyoming his home, and that is where he started teaching after graduating from the University of Wyoming with his multiple-subject teaching credential and B.A. in Spanish. He taught in Wyoming for 2 years, then for 12 years here in Visalia, California, where he currently resides. After spending 14 years teaching, he starting working with educational technology, working with the Greenfield Learning team for 17 years. During that time he has carried the Lexia Reading program (16 years) as well as Reading Plus and Symphony Math for a number of years. Born in Colorado and raised in Colorado and Wyoming, he is a true Rocky Mountain Boy, but he has an international flavor with a beautiful wife and daughter from Cali, Colombia! They have backpacked the continental divide, been to Costa Rica, Colombia, Italy and France, and traveled much of the U.S., and simply love to travel and visit new places. He enjoys singing, going to movies, reading, and spending time with his family, as well keeping up with his “customers,” many of whom I consider as colleagues and friends! As they say in Costa Rica – “Pura Vida!” Shawn can be reached at shawn@greenfieldlearning.com. Bill has been working in the sale of educational technology for 30 years and has been part of the Greenfield Learning team for over 10 years. He was born in New York and subsequently lived in Cleveland, Atlanta and Chicago while growing up and after getting his bachelors’ degree from the U of I Urbana he moved to California where he has lived ever since. Bill is married with two grown daughters and he likes to keep in shape by walking and cycling. He also loves to cook (He makes great homemade pizza) and enjoys foreign films and TV if he’s not reading or fixing up the house. Bill can be reached at billger@greenfieldlearning.com. For the past 15+ years Victoria has worked with education leaders to support districts and schools in their EdTech, literacy and learning initiatives. Prior to joining Greenfield Learning, Victoria has worked with educators in California, Hawaii, Alaska and the Pacific Northwest. Victoria is passionate about helping educators to put their students on the path to college and career readiness. Victoria has lived in the Bay Area/Silicon Valley most of her life, outside of a ten year adventure living on the Big Island of Hawai'i. She has Bachelor of Arts from San Jose State University and currently lives with her family on a five acre, organic farm in the Santa Cruz Mountains. Victoria can be reached at victoria@greenfieldlearning.com. John recently retired from 41 years of teaching and administration in special education, most recently as Principal at the Amethyst Demonstration School and the Robarts School for the Deaf in London, Ontario. John has guest lectured throughout North America on the topics of special education, and at the Faculty of Education at the University of Western Ontario. John and his team led a dramatic change in the teaching or reading at the Amethyst Demonstration School. Using a dynamic combination of direct explicit instruction, Lexia Core5 and Lexia Strategies and/or Reading Plus, Amethyst empowered students to achieve reading results previously unimaginable. John is continuing to pursue his passion for special-education by demonstrating that any child can learn to read with the correct combination of passionate educators and powerful educational software such as Lexia Core5, Lexia Strategies, Reading Plus, and Reading Plus. Lexia Reading is used across Ontario and is proven effective in a large body of published research. Arthur has been involved in education and educational technology for over 22 years. He started his career as a high school teacher at Torrance High School (where Beverly Hills 90210 was filmed) outside of Los Angeles. While there he taught Economics, US Government, and English. 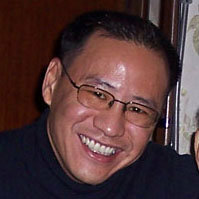 Arthur then went on to various training, implementation, and sales roles for a variety of organizations in the educational technology field. He’s an avid lover of all kinds of music, especially jazz, classical, and classic rock. He hates traveling but has been dragged around the world by his wife and two stepchildren to places such as Havana, Bali, Mexico City, Tokyo, Berlin, Marrakech, Istanbul, as well as various other places. Arthur grew up in Los Angeles but is now proud to call Vancouver, BC home. Arthur can be reached at arthur.lin@greenfieldlearning.com. Debora taught elementary school for 12 years in both Canada and the the U.S. before making her move into the private sector. After starting out as a teacher trainer, she transitioned into a very busy 20+ year career focused on building new district and school partnerships. At some point during that time and while living in Washington DC, she also found time to meet and marry a sailor. They moved to San Diego in 2008. Debora grew up in southwestern Ontario, Canada where she attended the University of Western Ontario and acquired a Bachelor’s in both Business and Elementary Education. While teaching in Dover, DE, she completed her Master’s in Elementary Administration at Wilmington University. After moves from Ontario, Delaware, and DC, she now resides in Southern CA with her husband, Michael, and two Rottweilers. In her free time she enjoys walking, joining spin classes, cooking, gardening, and being a landlord. Debora is excited to join the Greenfield Learning team and looks forward to working with educators throughout Los Angeles and Ventura counties. Debora can be reached at debora@greenfieldlearning.com. Kristina joined Greenfield Learning in 2016. She earned a B.A in Communications and a M.S in Education from the University of Southern California. She also has a Masters in Educational Leadership and an Administrative Credential from California State University Northridge. . She is a former elementary classroom teacher and Intervention Coordinator of 12 years in Los Angeles Unified School District. Before joining Greenfield, she fulfilled one of her lifelong dreams of teaching abroad, by teaching at an international school in Brazil as the Learning Support Coordinator. Educational Technology has been an integral part of Kristina’s teachings for the past 8 years including her time in Brazil, so she is thrilled to now be supporting other teachers with how to see the same success with their students that she had as a teacher throughout the years using these programs. Kristina currently lives in San Francisco, enjoying traveling as much as possible, meeting new people and exploring different cultures and languages. In her free time, she also enjoys trying to learn how to become a better cook and planning her next adventure! Kristina can be reached at kristina@greenfieldlearning.com. Kristie joined the Greenfield Learning team as an Implementation Partner in 2017 and is from Long Beach, California by way of Canada and Minnesota. Born and raised in British Columbia, Canada she attended Grande Prairie Regional College (Alberta, Canada) and Augsburg University (Minneapolis, Minnesota) on athletic scholarships where she received her B.A. in Elementary Education. Moving to California, she began her career in education teaching in the Long Beach Unified School District. During this time, she received a Master’s in Curriculum and Instruction from California State University Long Beach. This began her deep passion and commitment to urban education and literacy across the country. She has worked with children and adults across multiple grade levels for 18 years in education as a teacher, literacy consultant, instructional coach, and administrator in both the public and charter school environments. Kristie feels her role as an Implementation Partner with Greenfield Learning allows for much greater depth and impact in the world of literacy. Kristie is also a part-time professor in the Liberal Studies department at California State University Dominguez Hills. When Kristie isn’t working she is keeping busy as mom to her 3 amazing children (Mackenzie, Matthew, and Michelle), playing and watching sports, going to concerts, reading, and (secretly) writing children’s books that she hopes to one day publish. Oops…I guess that isn’t very secret now. Kristie can be reached at kristie@greenfieldlearning.com. Jessica Rockwood lives in Napa with her husband, Casey, and two young daughters, Ayla and Emerson. She was born in Modesto and raised in north Monterey County. Jessica began working in public education after her graduation from San Francisco State in 2007. She also holds a Master of Arts in Education degree with an emphasis on Curriculum & Instruction from Chapman University. Jessica’s favorite teaching assignment has been, without a doubt, third grade. She loves eight year-old minds, teaching multiplication, Charlotte’s Web, and spontaneous classroom dance parties. Jessica joined the Greenfield Learning team in 2016 and loves that she is able to continue working with teachers and students while getting more time at home with her own family. When Jessica isn’t working or chasing toddlers, she loves to sew, read, travel, and dance. She is a lifelong ballet student and spent 13 years teaching dance to children and adults. Jessica’s favorite places to visit are Ireland, Spain, and Disneyland! Jessica can be reached at jessica@greenfieldlearning.com. Collette Presley believes that education is one of the most important and honorable professions in our society. She has taught students across multiple grade levels and subject areas for 24 years and has 10 years of experience as an administrator. Additionally, she has advanced experience and skills in the area of technology. Her educational background includes a Bachelor of Arts in Liberal Studies from University of California, Santa Barbara and a Master of Arts in Education from California State University, Sacramento. Collette is excited to be an Implementation Partner with Greenfield Learning and continue to make a difference in the field of education! Collette joins us from Lincoln, California and will be supporting Tim in Sacramento and the surrounding counties. She is a former teacher and administrator and in both of those roles she was a fervent Lexia and Reading Plus champion and one of Tim's customers. Collette brings much insight to our team as former principal, with much knowledge about district initiatives, funding, best practices in implementation and engaging professional development! Collette can be reached at collette@greenfieldlearning.com. After 35 years of being involved in public education, Lisa has decided to join Greenfield Learning and loves every minute of it. As a peace child of the 60’s she has always been a rebel with a cause. She experienced a 6-month European trip with her family as a teenager, which has led to her never-ending desire to travel. Lisa enjoyed traveling so much (following her European trip) she became an exchange student to Germany where she chooses to travel to whenever she gets the chance and visit her exchange family. She was destined to teach following in her parents footsteps and leading the path for her own 2 daughters to educational careers. She has a BA from CSUF, along with a multiple subject credential and a single subject in English and is bilingual in German. Lisa can be reached at lisa@greenfieldlearning.com. Ashley was born in Santa Cruz, California but spent an early part of her childhood in Rockport, Massachusetts. She now resides in Scotts Valley, California with her husband and three children, Atticus, Owen and Lucy. As a family they enjoy hiking in the beautiful Santa Cruz Mountains and sunny days at the beach. Ashley can be reached at ashley@greenfieldlearning.com. Kelly has over 20 years’ experience in educational technology. 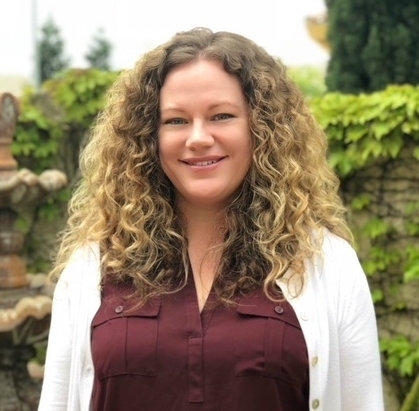 She has spent the last 7 years as the Technology Integration Specialist in Santa Clara County, where she has been able to combine her passion for infusing technology into the school’s core curriculum with her love of supporting the educational journey of elementary grade students. Kelly is delighted to bring her extensive knowledge as a Lexia Core5 Reading expert to the Greenfield Team so she can continue to work with teachers and support computer-based student learning. Her goal in working with students is to provide a foundation that will give them a head start for their journey during their school years and prepare them to be successful 21st Century citizens. Kelly was born and raised in San Jose, CA. She has fond memories of picking apricots and riding horses in the wide-open spaces of Almaden Valley. She moved to the Santa Cruz area in 1983 and received an Associate’s degree in Liberal Arts from Cabrillo College. She currently lives in Scotts Valley. Kelly enjoys cycling, hiking, practicing yoga and putting together jigsaw puzzles. She loves being active and involved with her two adult children, exploring National Parks and can be found kayaking with her husband on mountain lakes. Kelly can be reached at kelly@greenfieldlearning.com. Gillian has worked in the field of education for 18 years. She started her teaching career working with special needs students in London, England and most recently worked as an Instructional Coach to help implement the use of technology in elementary classrooms. She graduated from Pepperdine University with an MA in Education and a California Teaching Credential and recently earned an MS in Educational Leadership and a California Administrative Credential. During her 16 years in the classroom, Gillian loved watching the excitement on students’ faces when they learned something new and enjoyed collaborating with her peers to develop new and engaging lessons for her students. As an Instructional Coach, she worked closely with teachers to show them how blended learning can enhance the educational experience for both students and teachers. She is excited to be a part of the Greenfield team and share her knowledge with others in order to help support the learning of students. In her spare time, Gillian loves spending time outdoors with her husband and 2 children. She enjoys hiking, paddle boarding, mountain biking, and camping. Gillian can be reached at gillian@greenfieldlearning.com. Janice joined Greenfield Learning in 2011. Her knowledge of Lexia came from working at an elementary school on Vandenberg Air Force Base. A move a bit further up the coast allowed for a transition from working in a classroom to conducting professional development. Besides professional development, she works with Greenfield Learning customers with implementation and support. Janice has a bachelor’s degree in history from California State University Dominguez Hills and a secondary teaching credential in social studies. In addition, she has a Master’s in Education from Pepperdine University and a Master’s in Educational Administration from Grand Canyon University. In the past 26 years, she’s had the opportunity to teach students ranging from 2nd grade through adults in public, private, and corporate settings. She and her husband Richard live on California’s Central Coast. They have two daughters. Jennifer is a sophomore in college and Natalie is a sophomore in high school. When not working, she enjoys time with her family, cooking, traveling, and trip planning. She enjoys cooking and traveling so much she has a collection of nearly 300 cookbooks from places she and her family have been! Rachel began her journey with Greenfield Learning in 2018 and has thoroughly enjoyed the variety of projects she gets to dig into to assist on the back end of the operations. She resonates with Greenfield's encouraging team dynamic and dedication to education. Rachel graduated with a B.A. from the University of South Carolina (the east coast's USC! ), and later obtained her ESL teaching certification. She is fortunate to work in education on many different levels, from helping schools and educational professionals with their administrative needs, to teaching ESL to the local adult immigrant and refugee population. As a military brat growing up, Rachel had the opportunity to live in seven different US states (including Vacaville, CA) and Bermuda. After her parents settled in SC, Rachel met her, now, husband. They married after attending the same university, and later settled in NC. They welcomed their first child to the family recently and have been thoroughly enjoying parenthood. When Rachel is not working on a Greenfield project, she enjoys traveling with her family, being an active part of her church community, working with ESL students from around the world, long distance running, and seeing her husband's band play in the local music community. 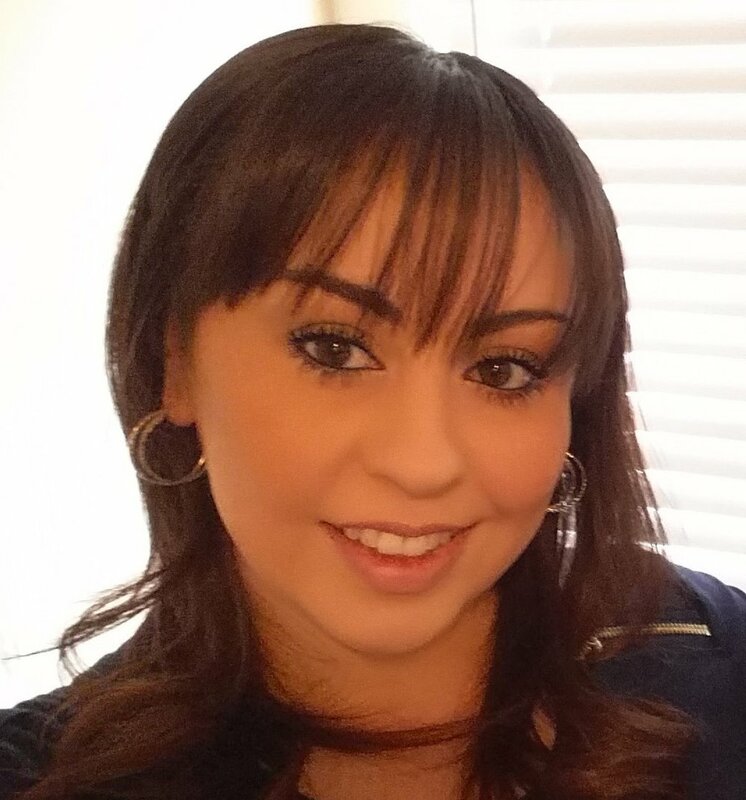 Francesca joined the Greenfield Learning team in July of 2016 as an Accounting & Operations Specialist. Francesca thrives on using her experience to pursue her passions, grow in expertise, and adapt her skill-set to Greenfield Learning’s needs. Francesca grew up in San Francisco and relocated to North Carolina in 2008 where she chose to challenge herself by becoming an independent contractor, transitioning from corporate to independent business ownership. She successfully operated her own business for ten years, committed to providing the best service to her clients. Francesca lives outside of Raleigh with her husband and son. Although she misses city life, she is enjoying the charm of southern living and exploring the east coast with her family. In another life, she would have been an event planner. Francesca loves the creative outlet and the opportunity to celebrate others’ accomplishments or milestones.